Play Ball! 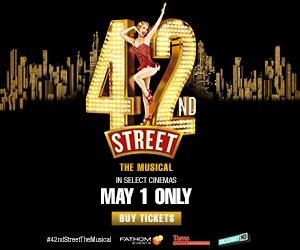 It’s the early 1960’s and fifth-grader Scotty Smalls (Tom Guiry) has just moved into town with his folks (Karen Allen and Denis Leary). Kids call him a dork --- he can’t even throw a baseball! 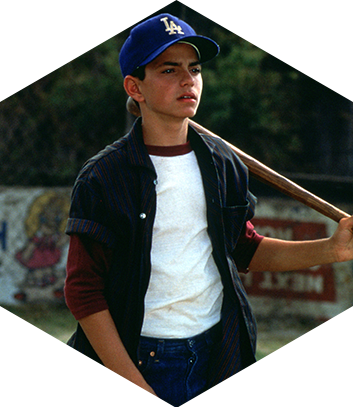 But that changes when the leader of the neighborhood gang recruits him to play on the nearby sandlot field. It’s the beginning of a magical summer of baseball, wild adventures, first kisses and fearsome confrontations with the dreaded beast and its owner (James Earl Jones) who live behind the left field fence. Soon nine boys have become best friends, Scotty is part of a team, and their leader has become a local legend in this hilarious and warmhearted comedy. 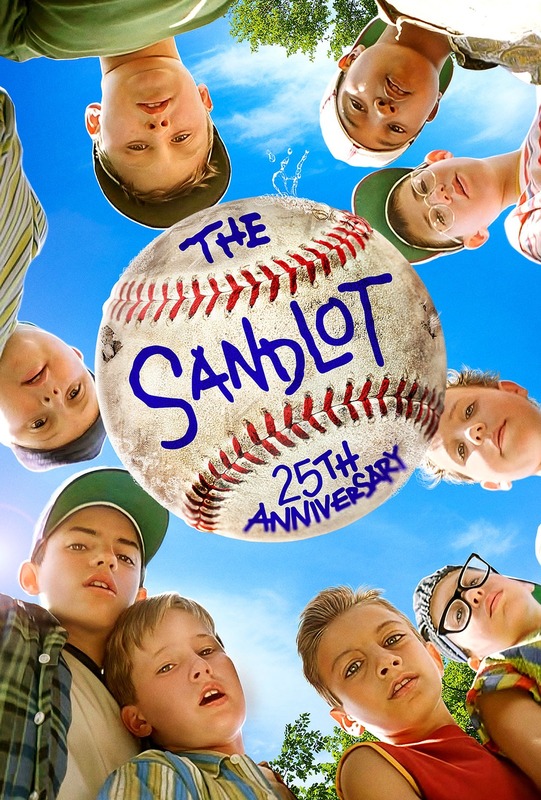 Fans will not want to miss the 25th Anniversary celebration that includes a sneak peek of a documentary on the making of The Sandlot! ©1993 Twentieth Century Fox Film Corporation. All Rights Reserved. Moves to Los Angeles in 1961 and spends his first summer trying to fit in with the kids of his new neighborhood. Taken under the wing of Benny, he finds a new passion for baseball. 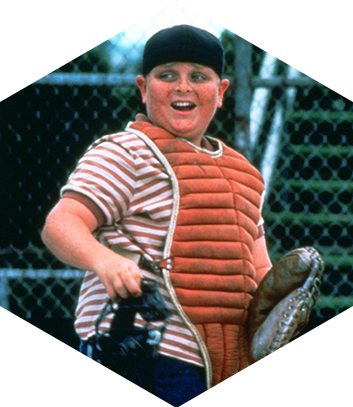 The one all of the Sandlot kids looks up to. 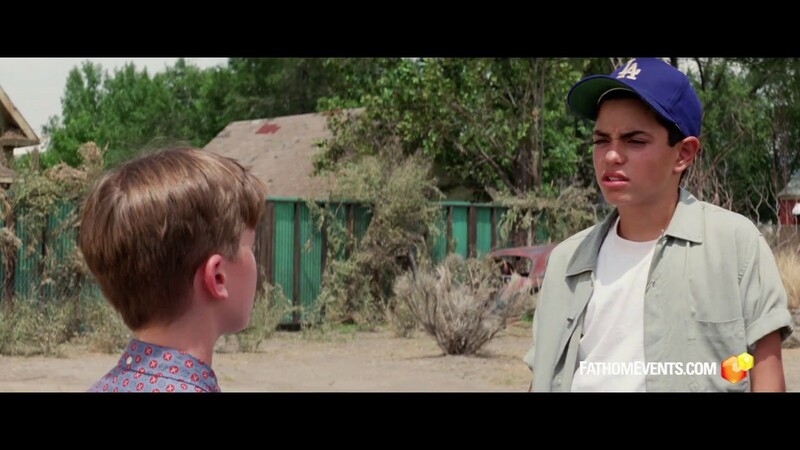 Known for his speed, Benny has to outrun The Beast to get Smalls’ ball back. Is not afraid to hurl insults. 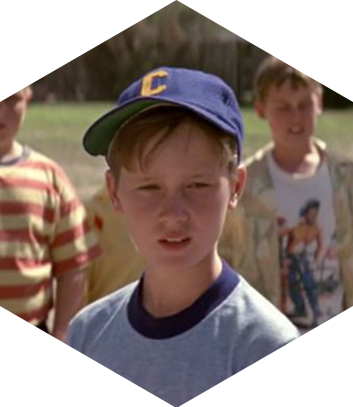 He frequently tires of Smalls' naivete and lack of knowledge in certain things, like s'mores and Babe Ruth. Looks like a nerd but a good baseball player and storyteller. 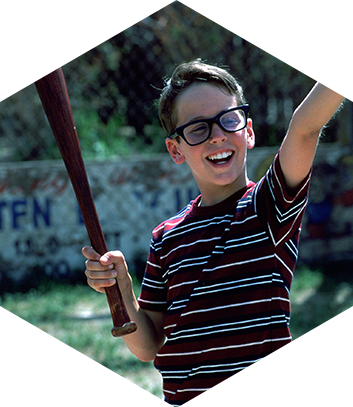 He also has a major crush on an older local girl, Wendy Peffercorn.